April showers*, bring May flowers, but sometimes they bring a lot of wet benches, too. 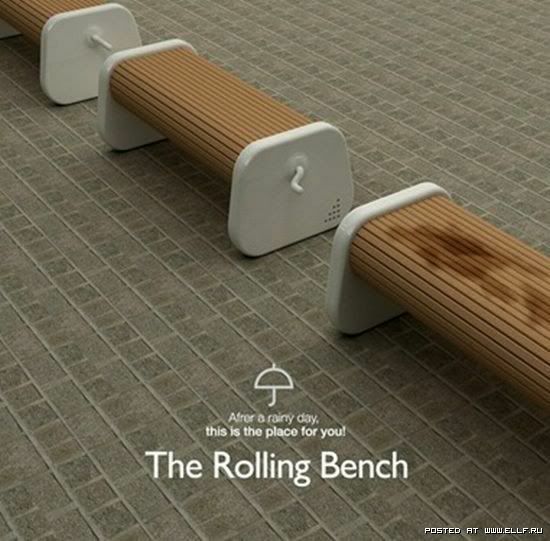 Although surely an expensive idea, wouldn't it be cool to show up in a park or outdoor eating area and actually have a place to sit after a nice Spring rain? What a neat idea! We could do with some of those in my town. We're finally getting some sunshine after what feels like weeks and weeks of cloudy, rainy days.